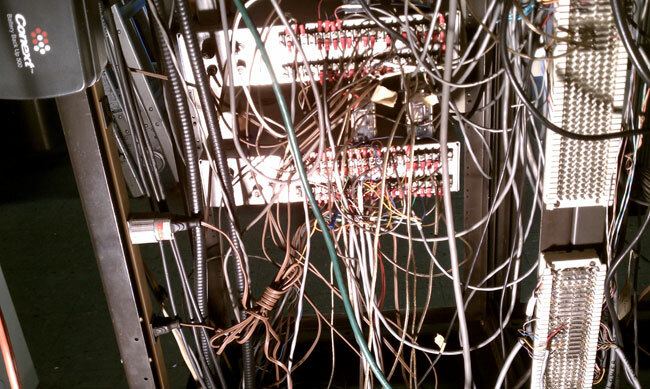 It is often faster to cut all the old wiring away and start over. This is a transmitter remote control system which was initially installed in the early 70’s. Over the years, it was added to, subtracted from, divided, multiplied, sliced, diced, etc. 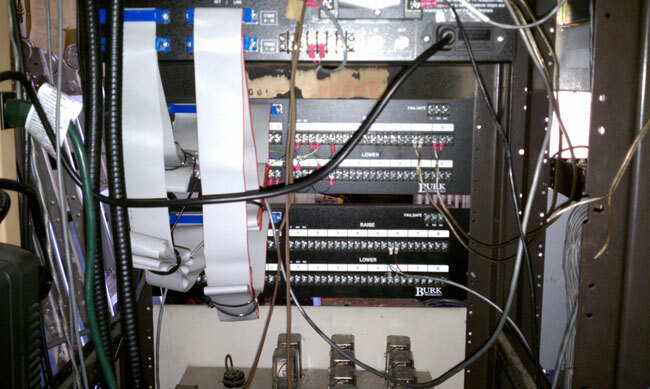 In the end, the existing wiring documentation did not match most of what was there. Additional to that, several of those terminals have 120 volts and I found at least one instance of 208 volts. Once upon a time, some engineer built these remote control interfaces, which are quite nice. We decided to re-use them where 120 volt control is required. When completed, I will tape over the terminal and label them accordingly. 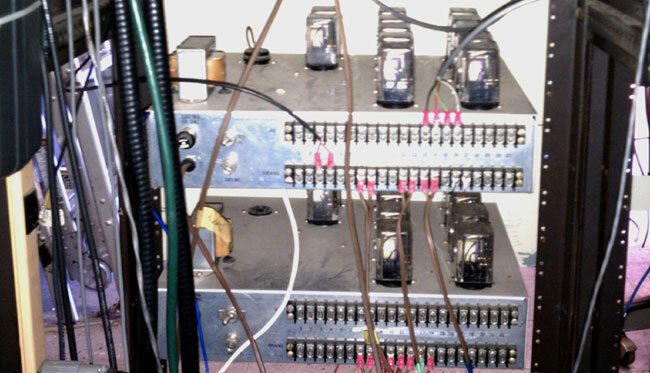 The main transmitter uses open collector control, therefore, it can be wired directly to the Burk ARC-16 IP-8 panel. The Burk unit, as wired with the main transmitter, common point, tower lights, phasor and antenna monitor. The project has not been without some small off air incidents, once while we removed a metal name plate that had fallen into an inductor in the phasor. All in all, progress is being made.